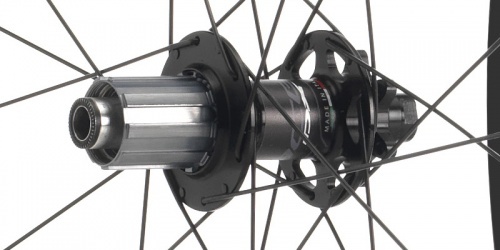 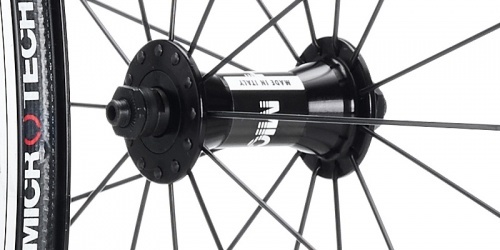 Hubs: 24-24 holes alloy body c / lock disc. 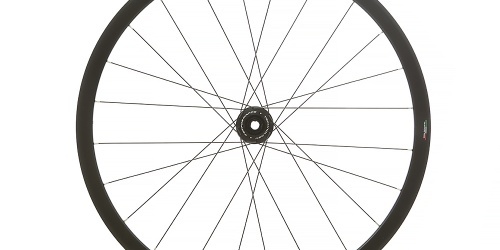 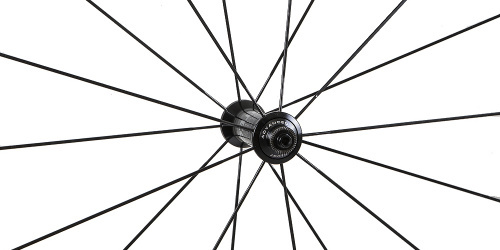 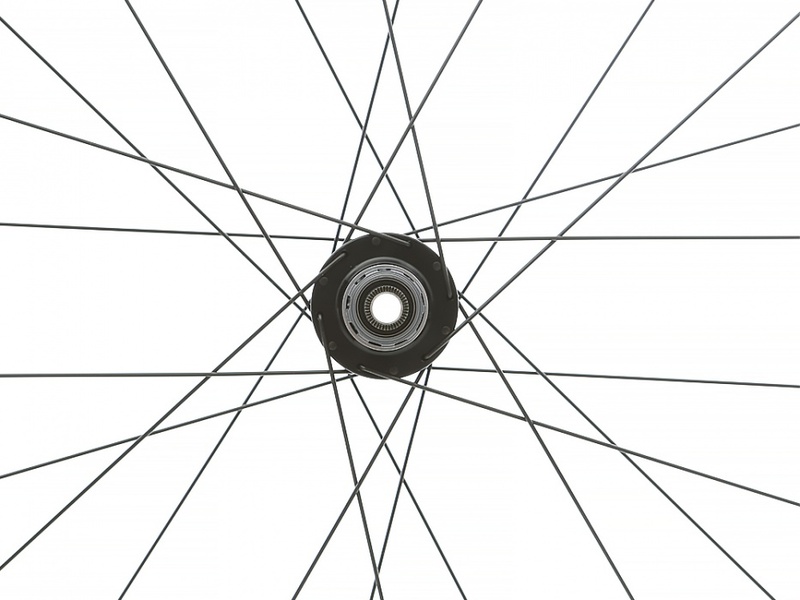 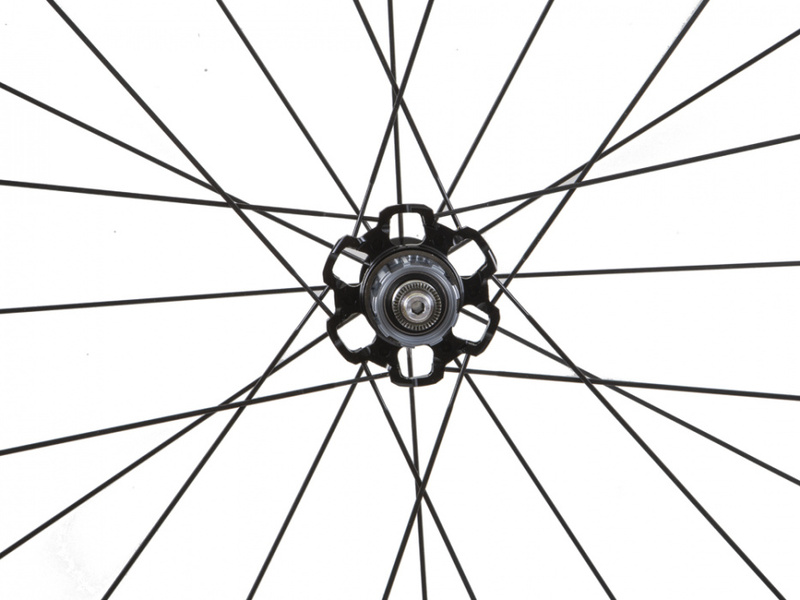 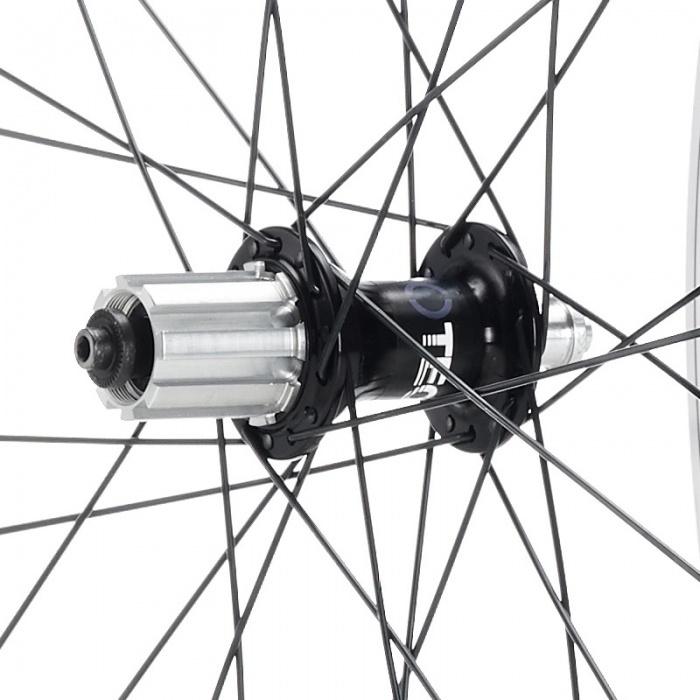 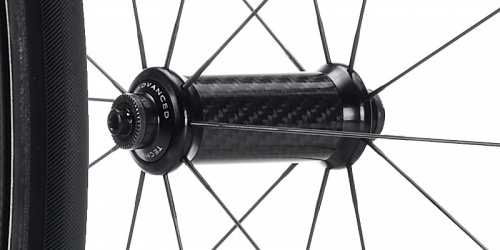 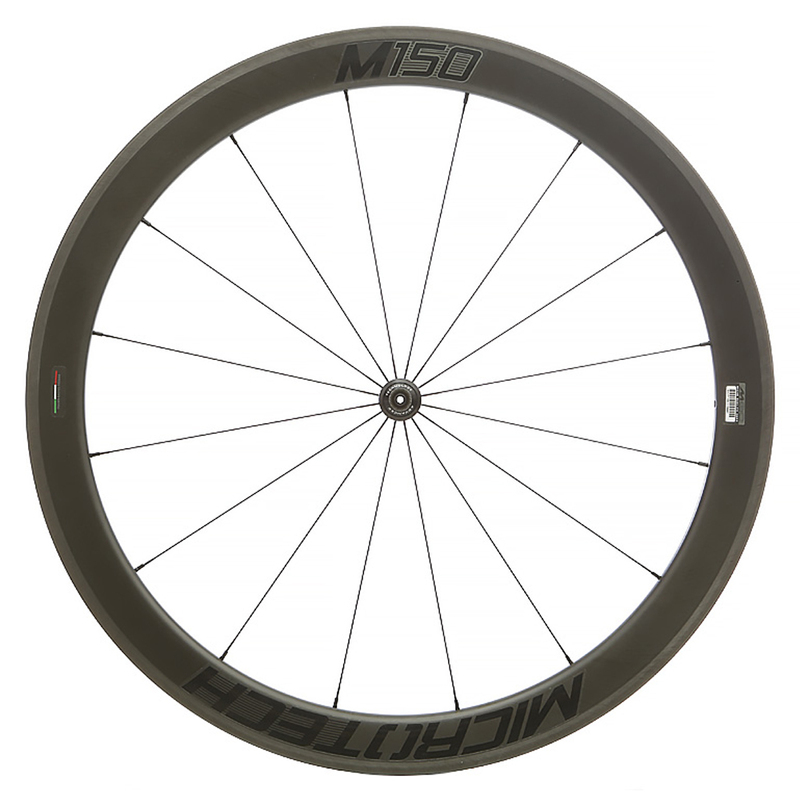 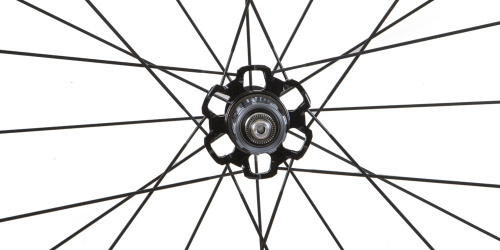 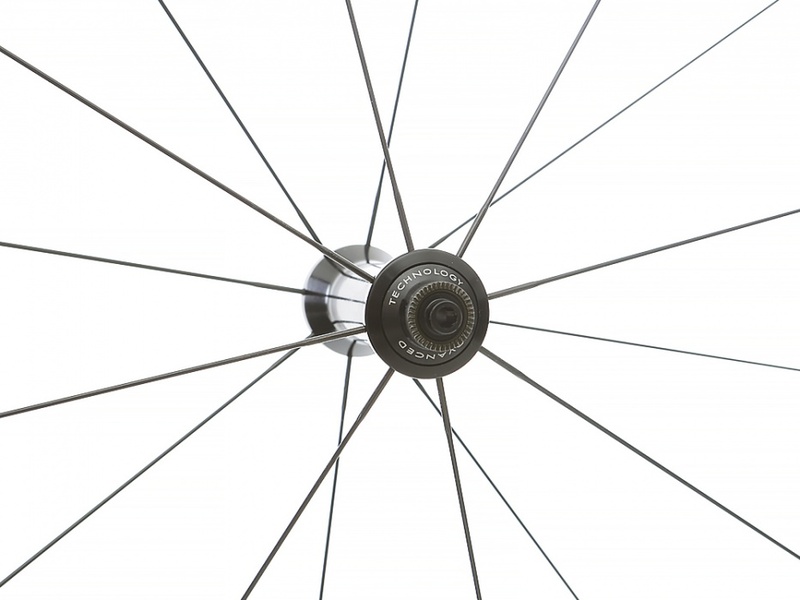 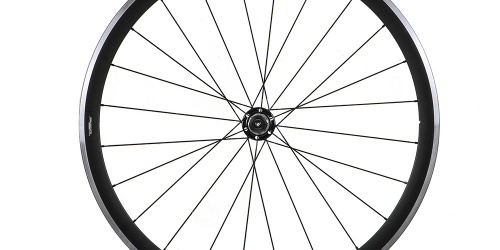 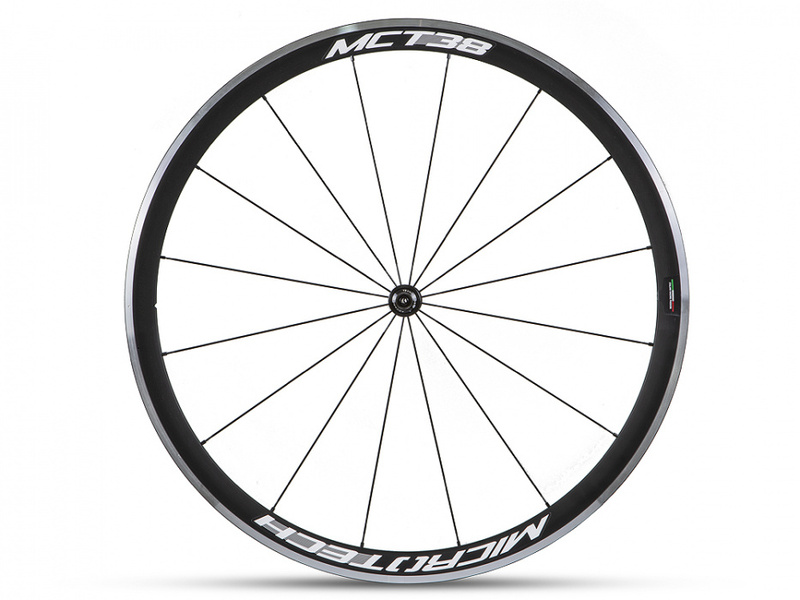 The perfect wheel for road and criterium racing, reliable and durable to be used on your daily training session. 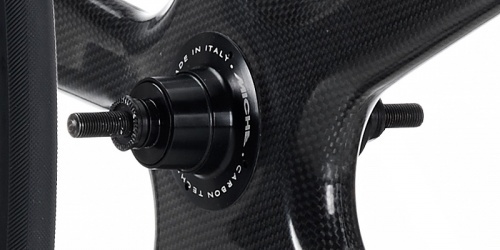 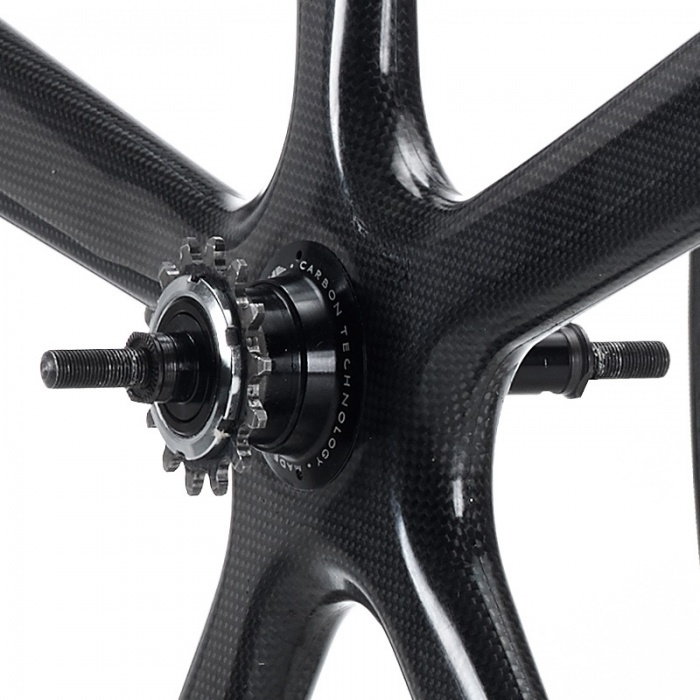 Shape and carbon layout is refined to burst acceleration, impact resistance and precise cornering, without compromising the weight. 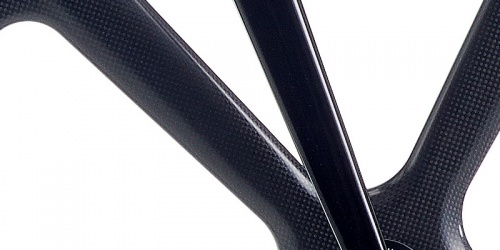 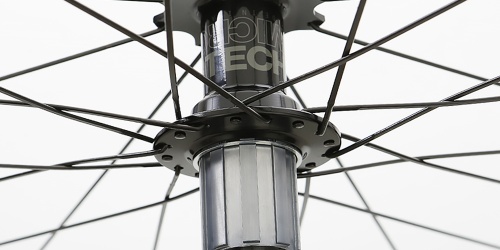 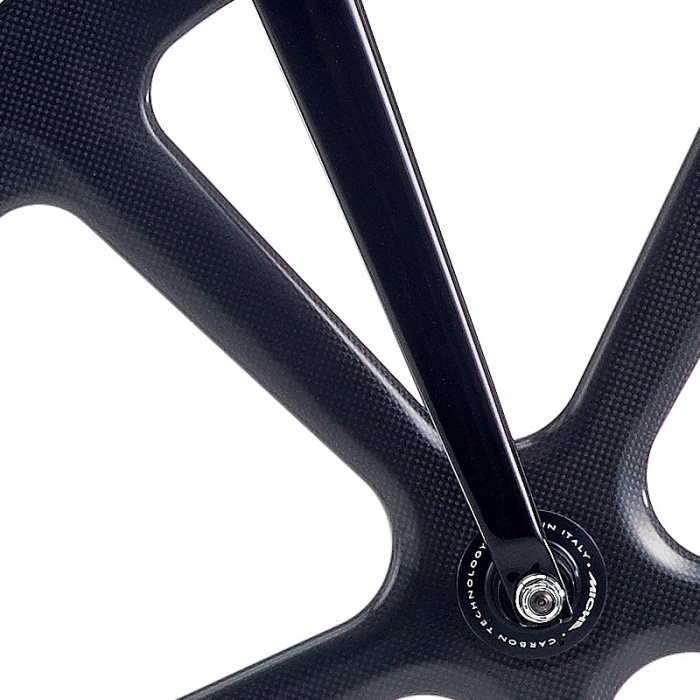 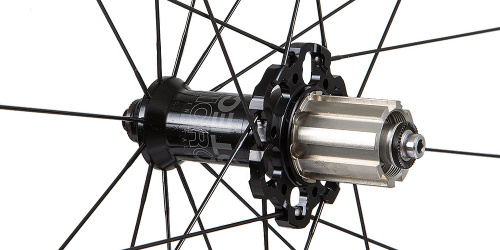 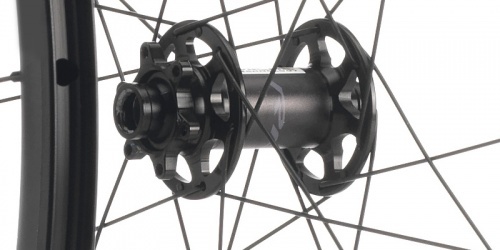 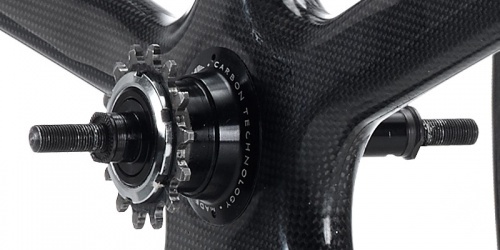 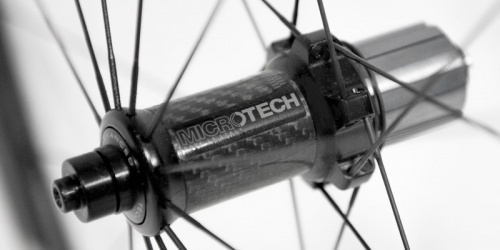 As the Microtech wheels, the braking system is molded into the carbon rim. 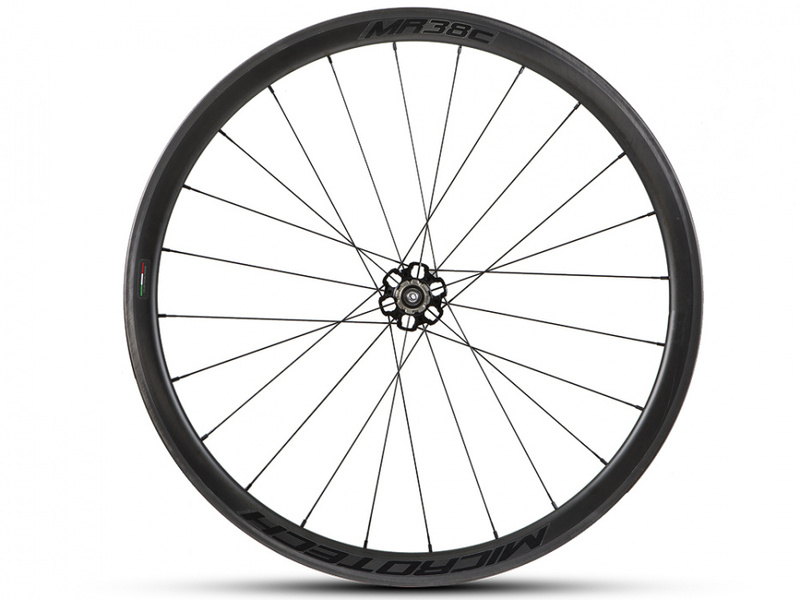 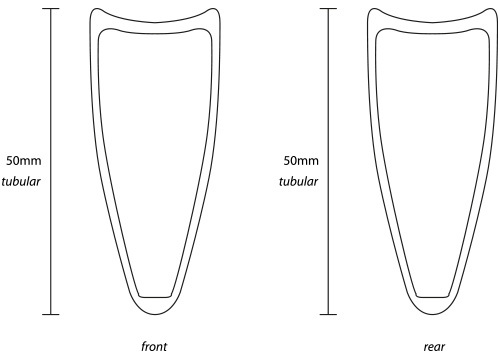 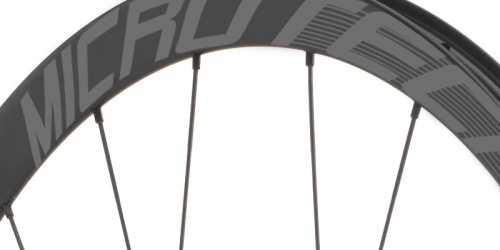 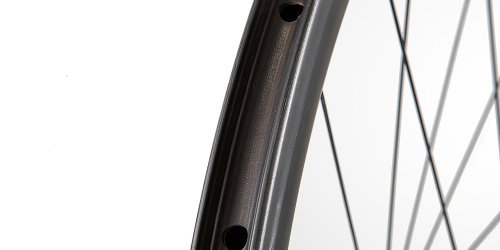 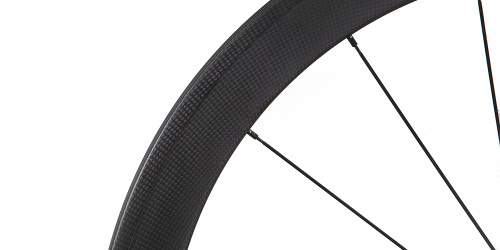 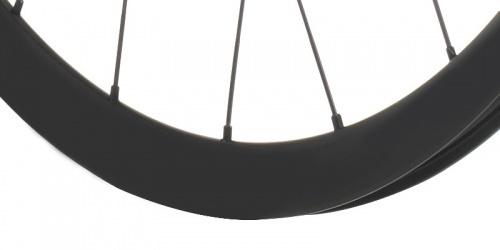 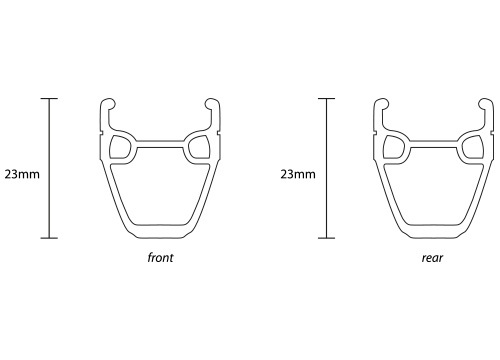 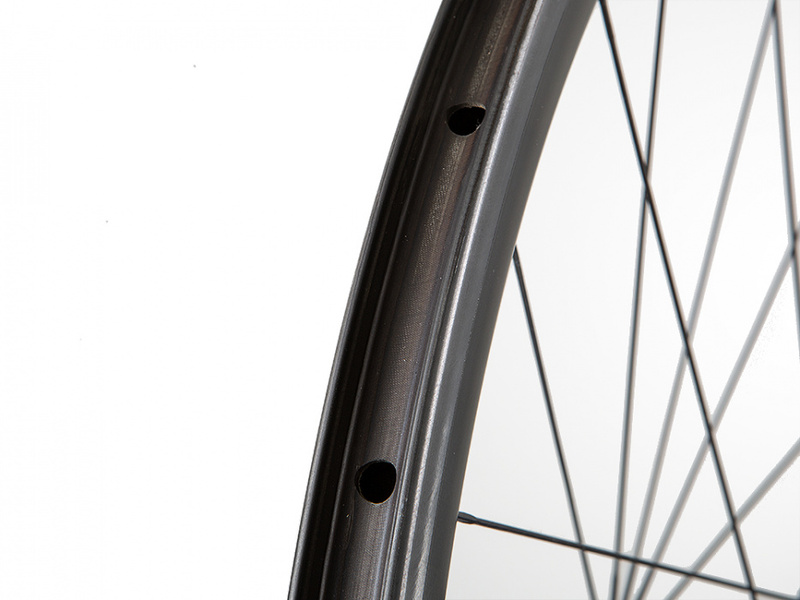 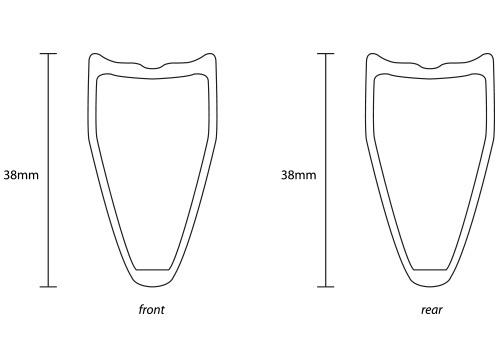 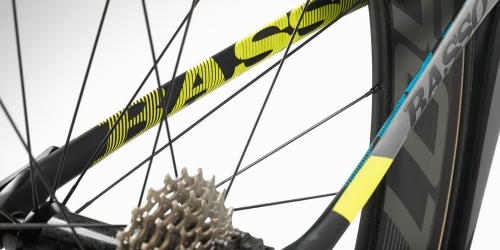 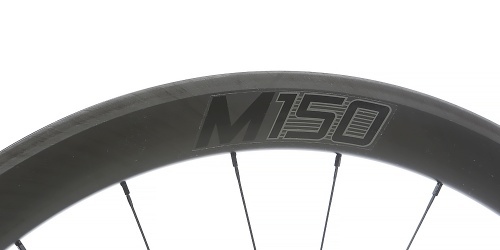 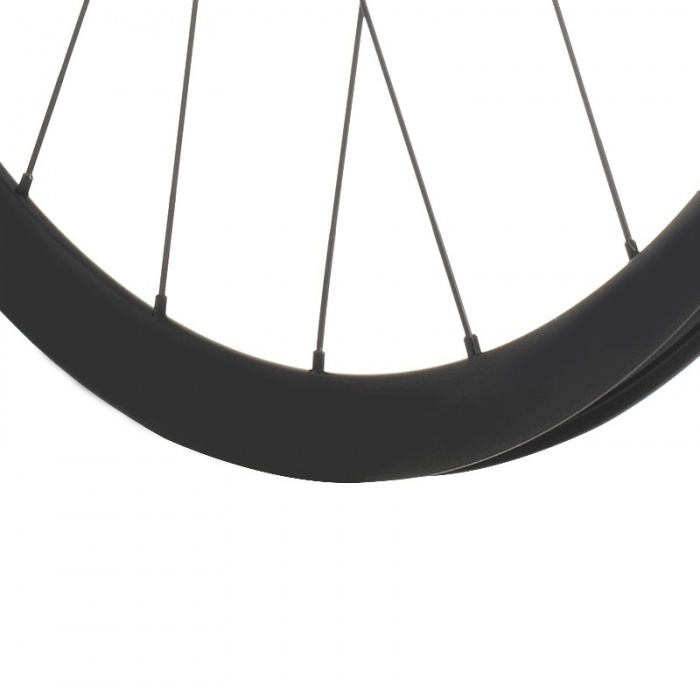 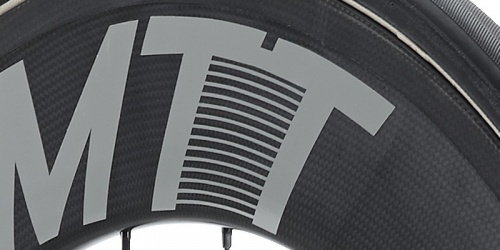 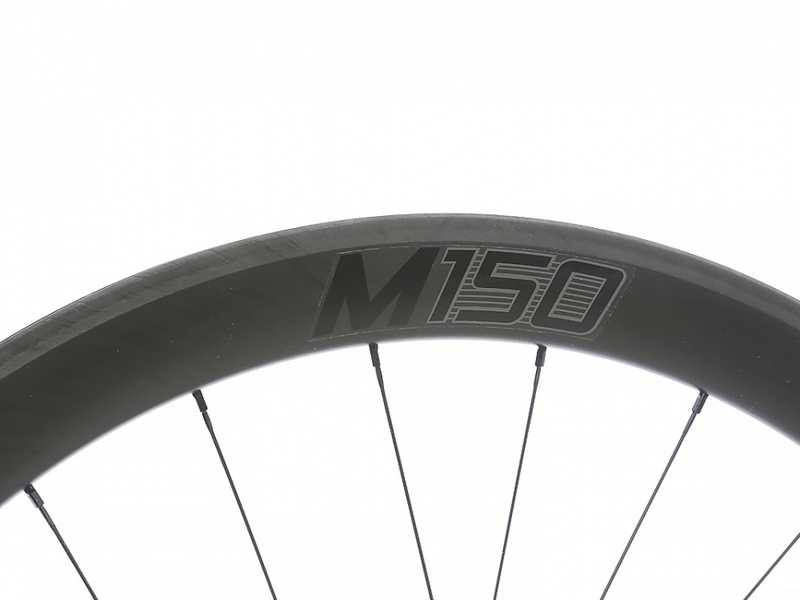 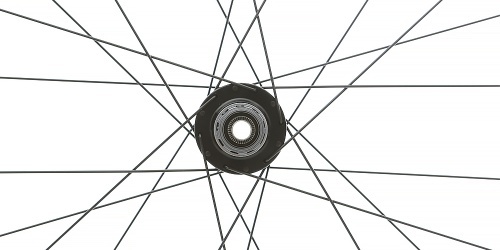 Same characteristics as the M150 clincher version, with the upgrade of the tubular rims. 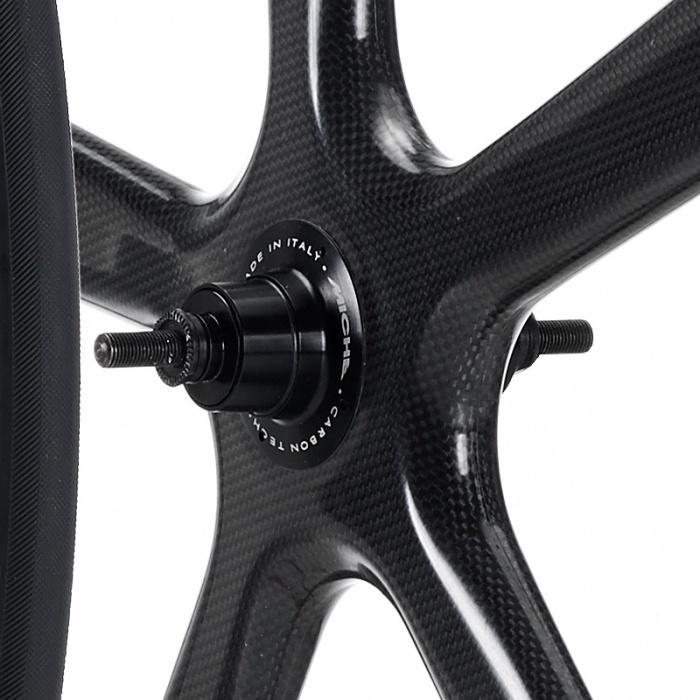 This wheel was born for maximizing the athlete’s performance when faced with races against time without forgetting of the handling difficulties when in this situation. 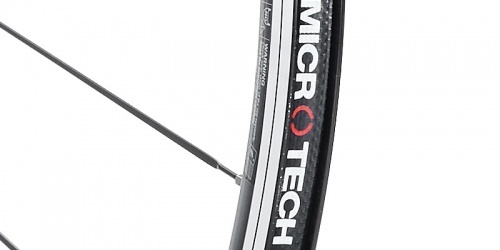 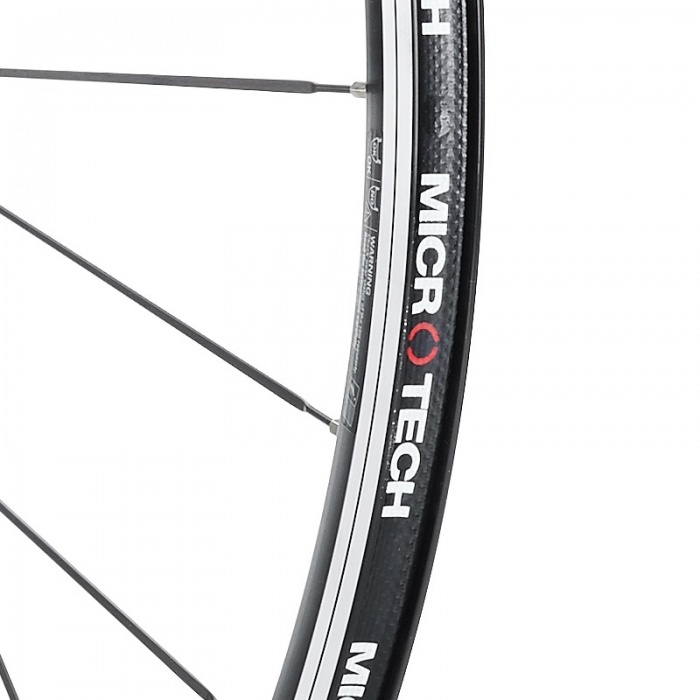 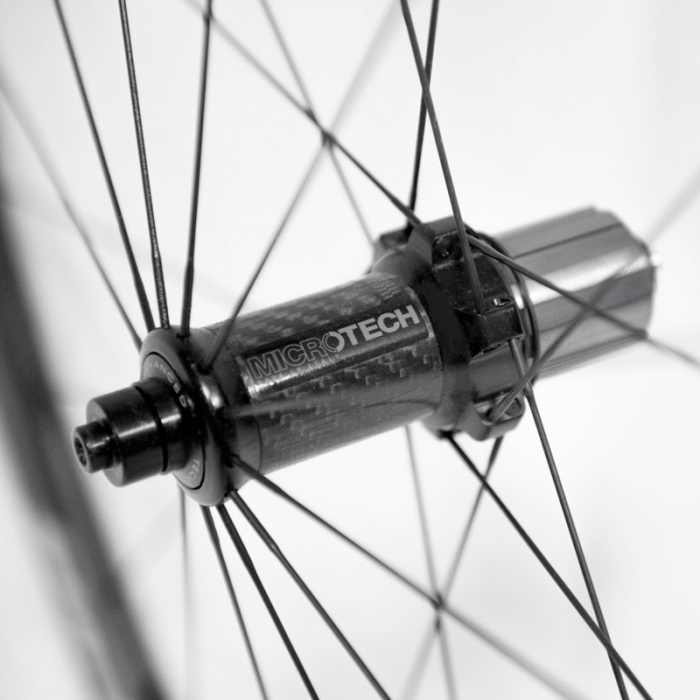 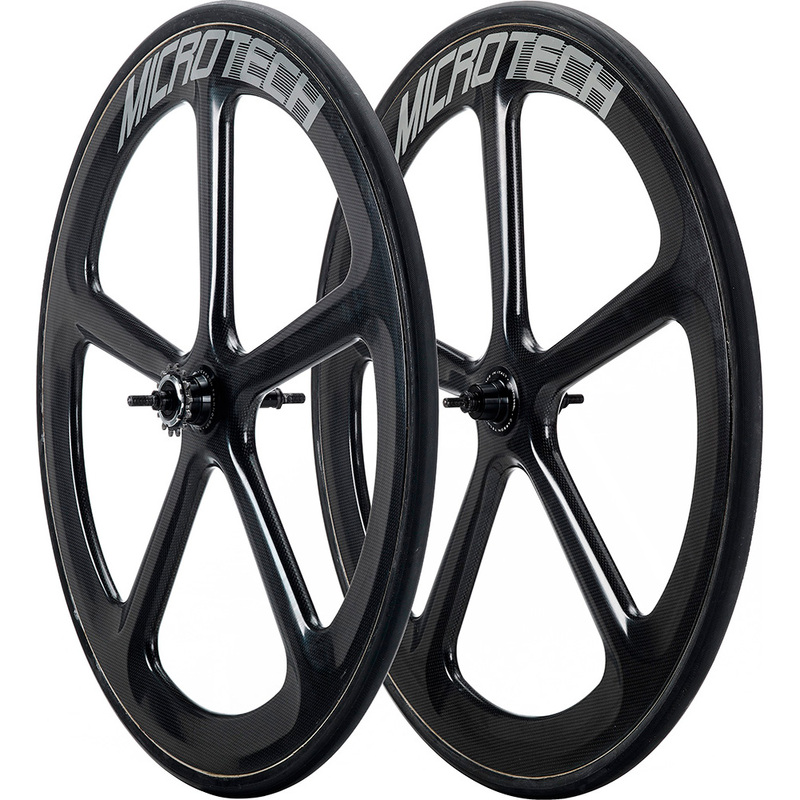 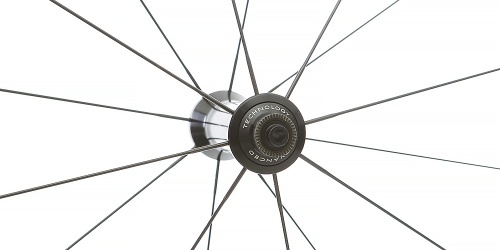 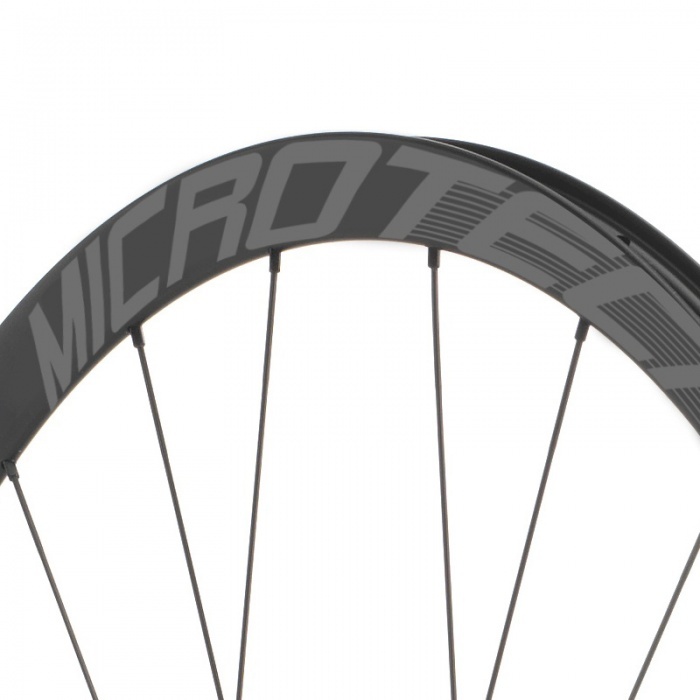 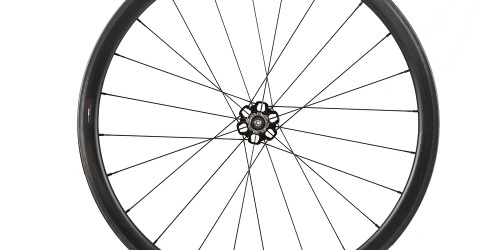 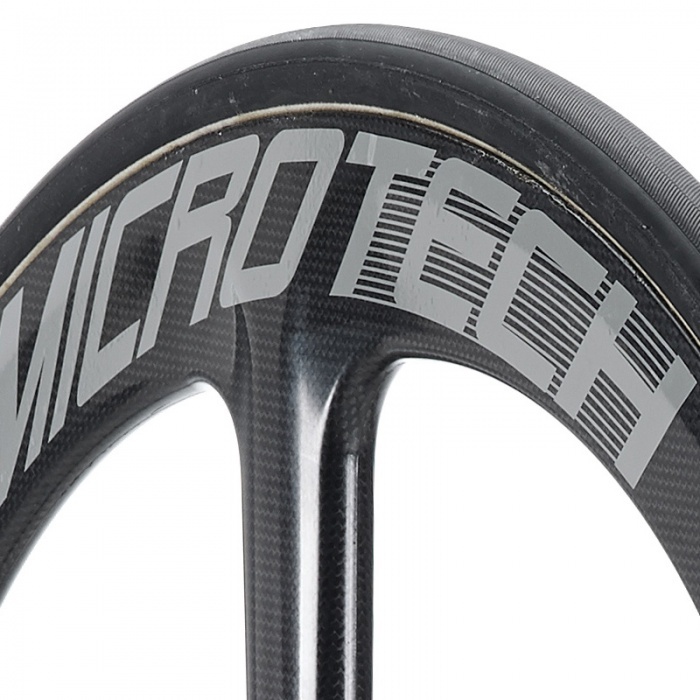 50mm front and 88mm rear wheels is for Microtech the best compromise between handling and aerodynamic efficiency. 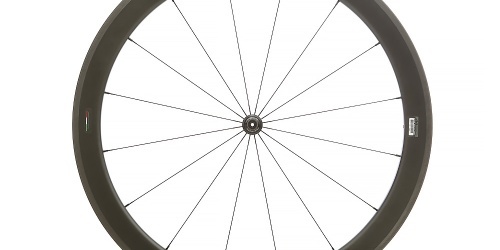 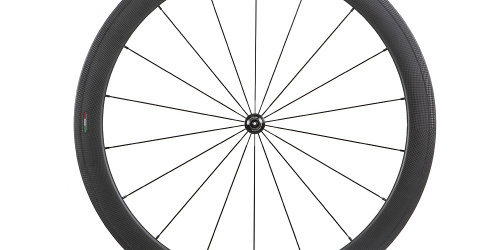 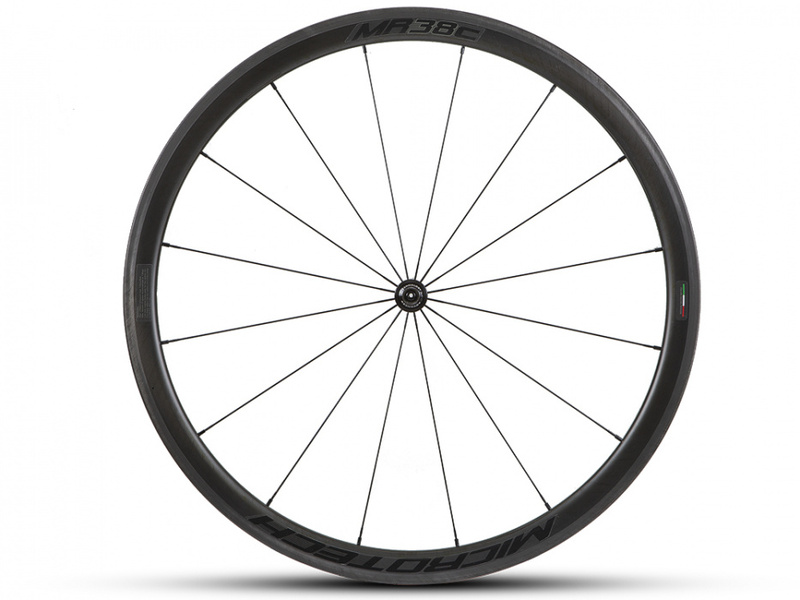 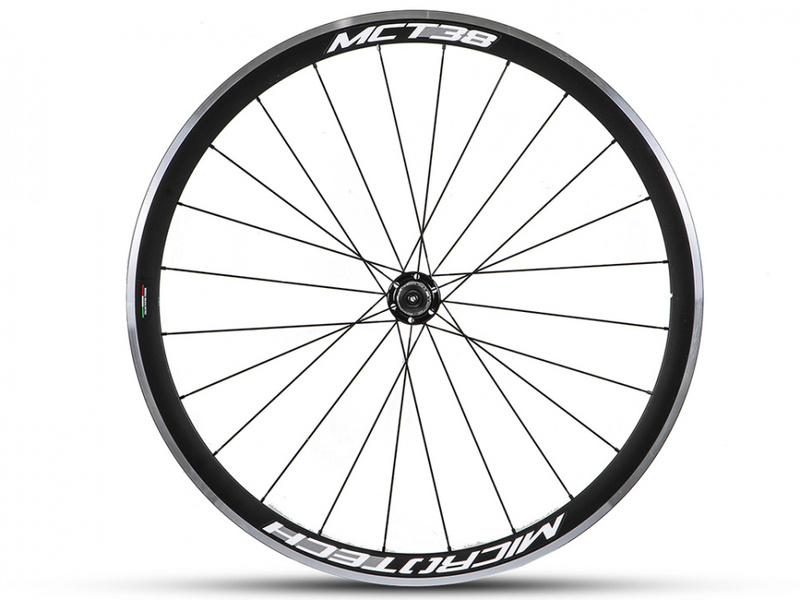 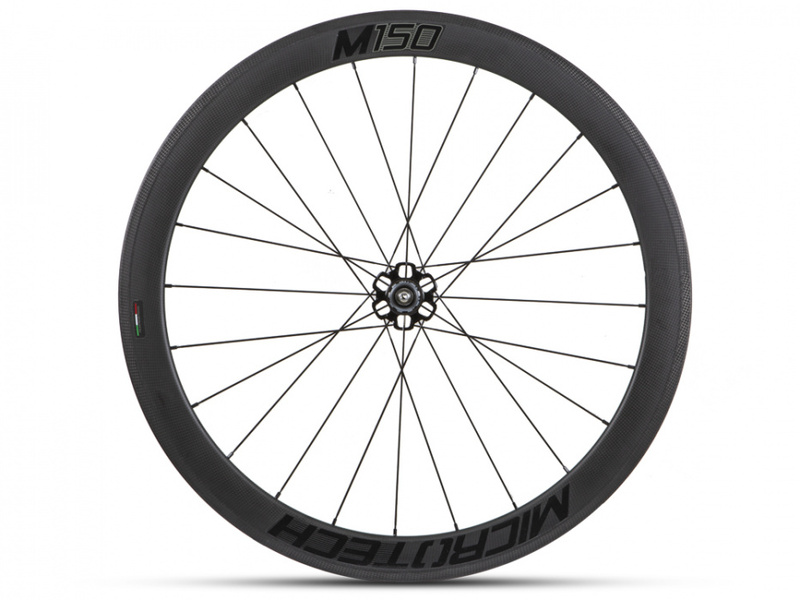 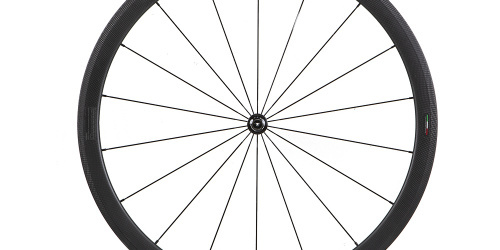 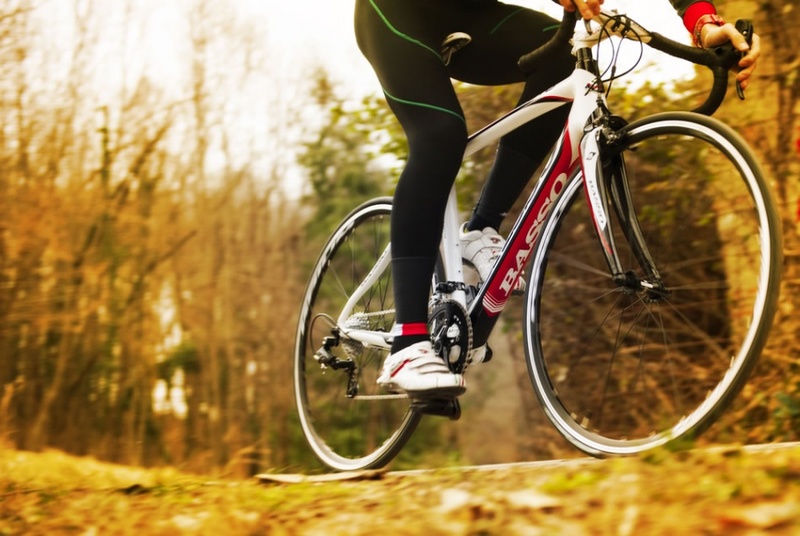 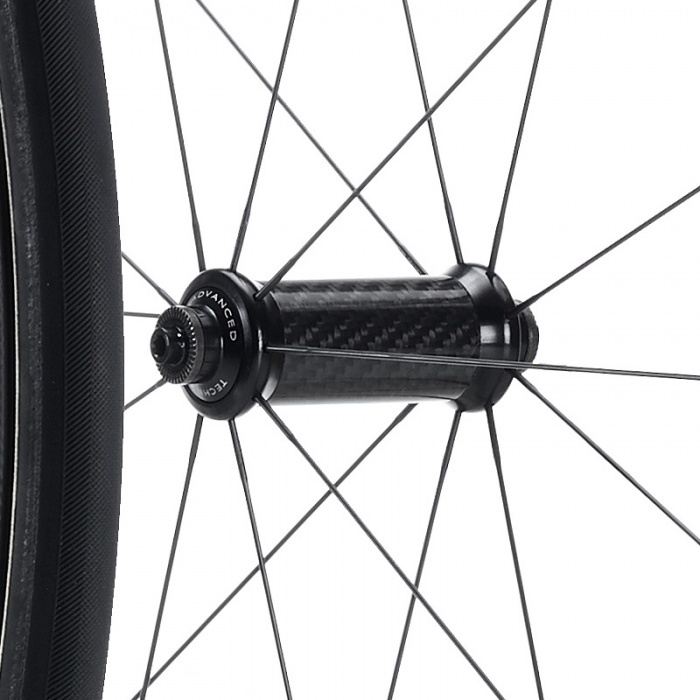 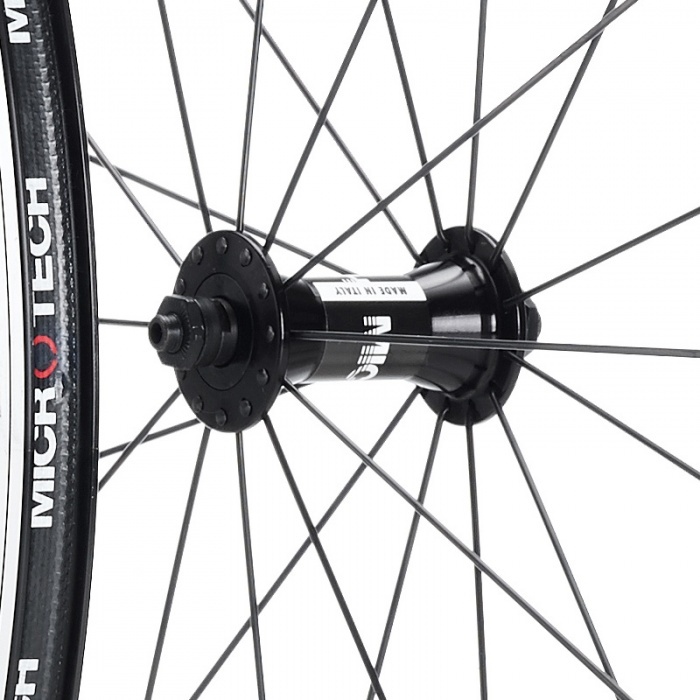 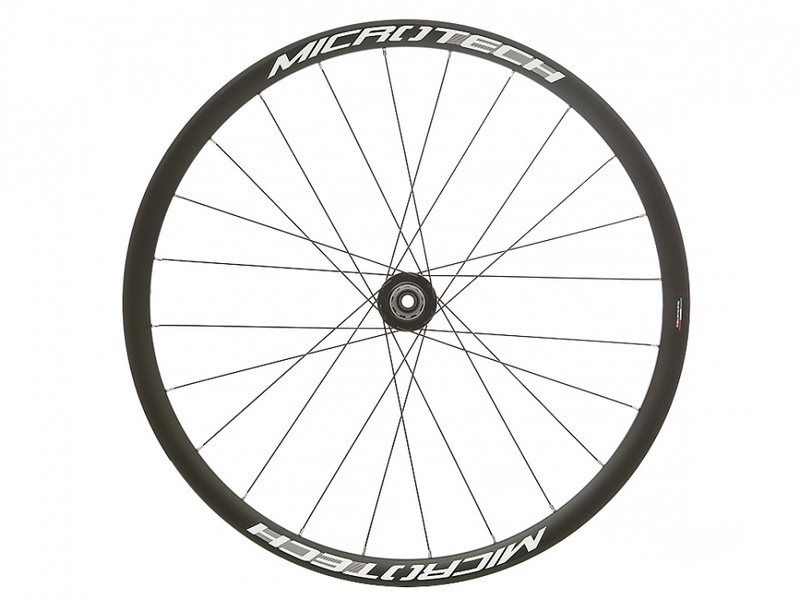 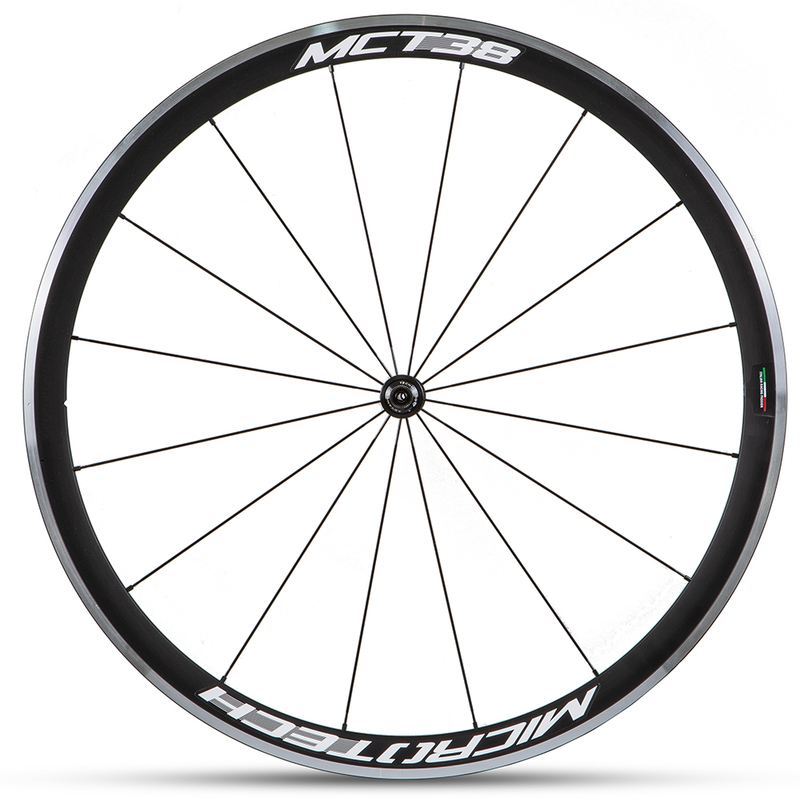 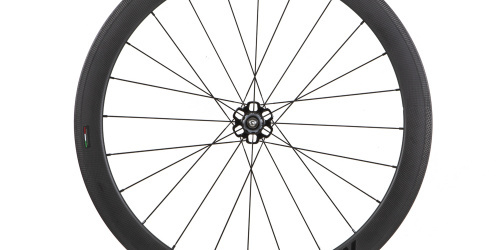 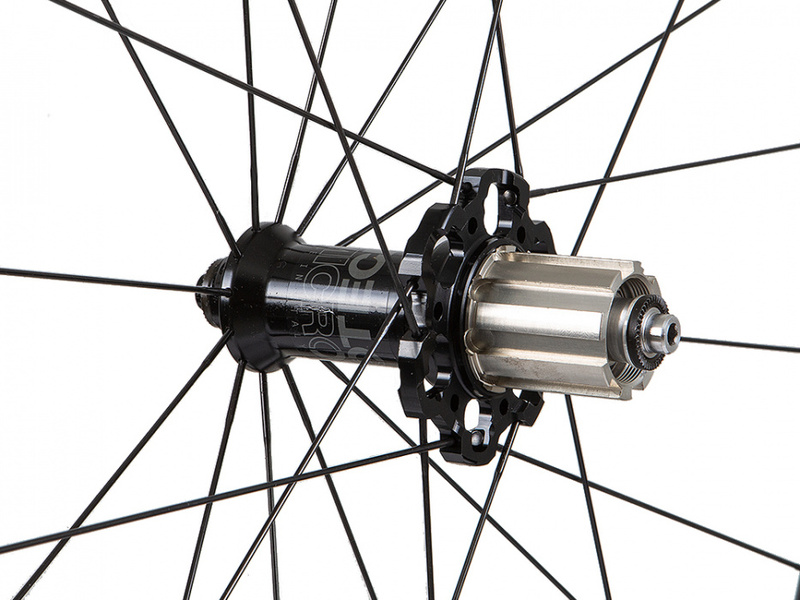 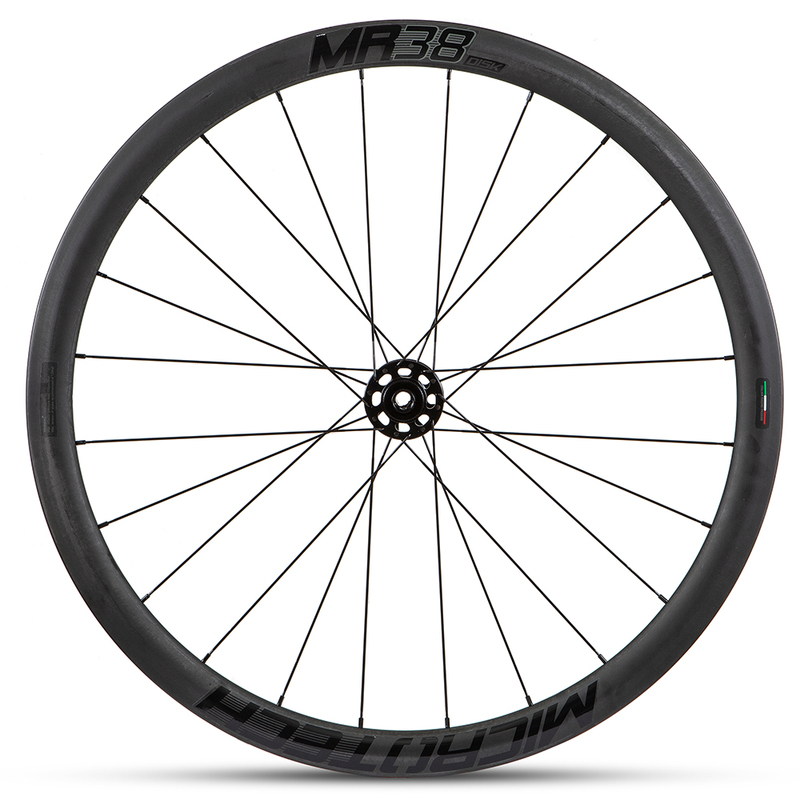 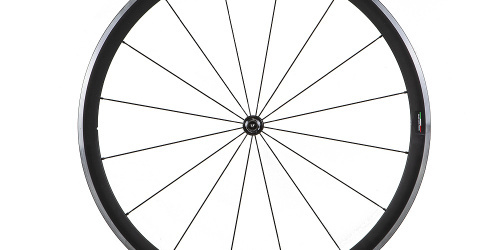 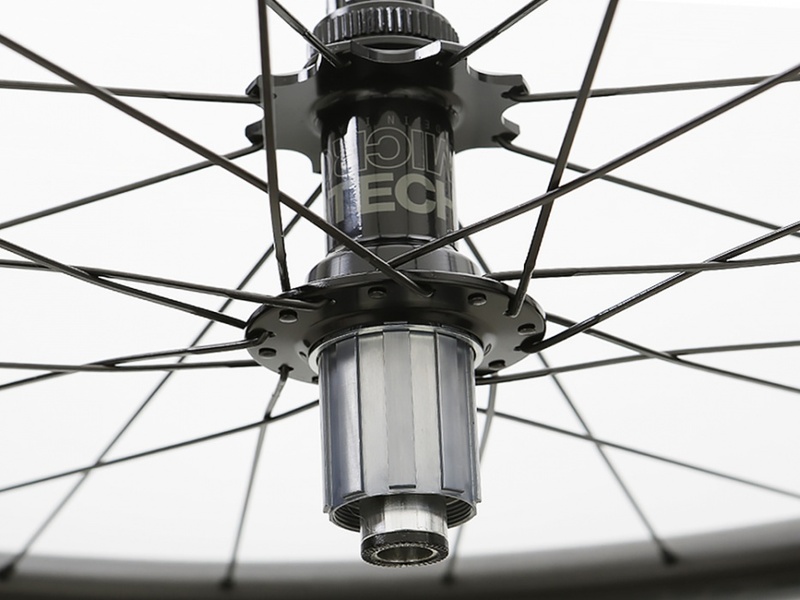 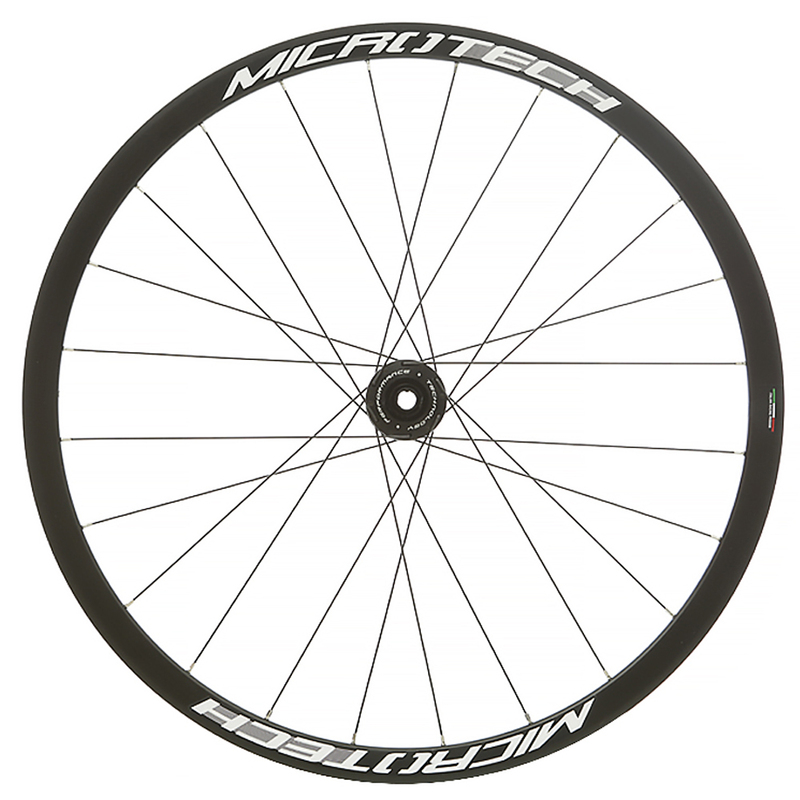 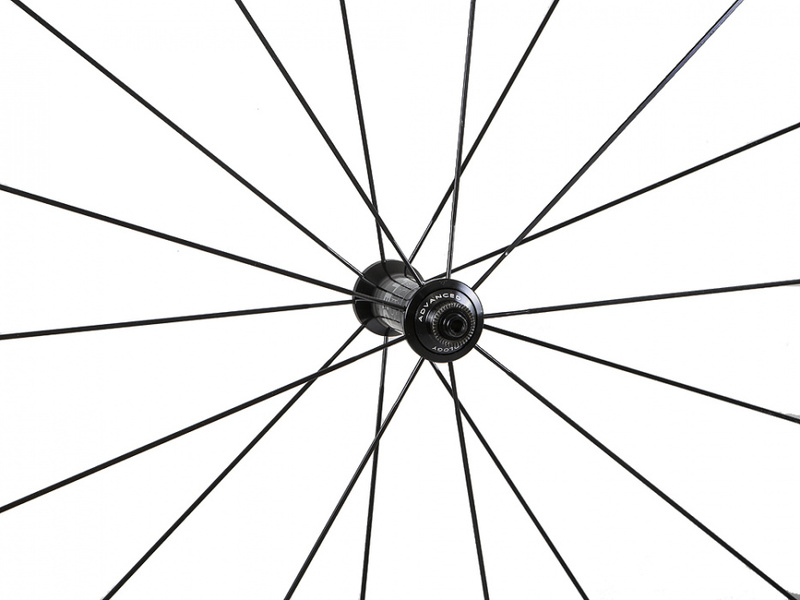 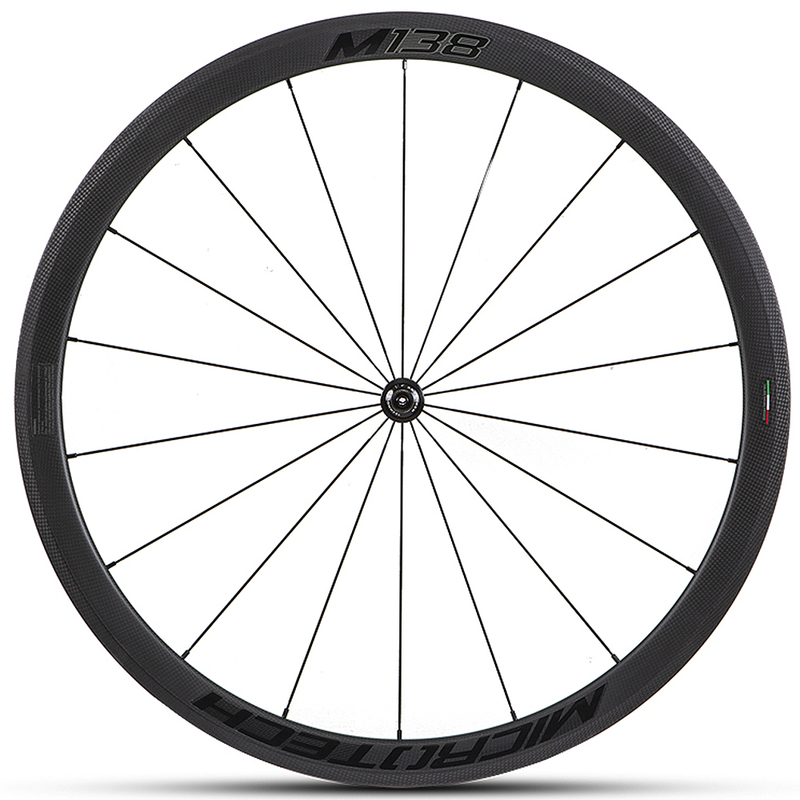 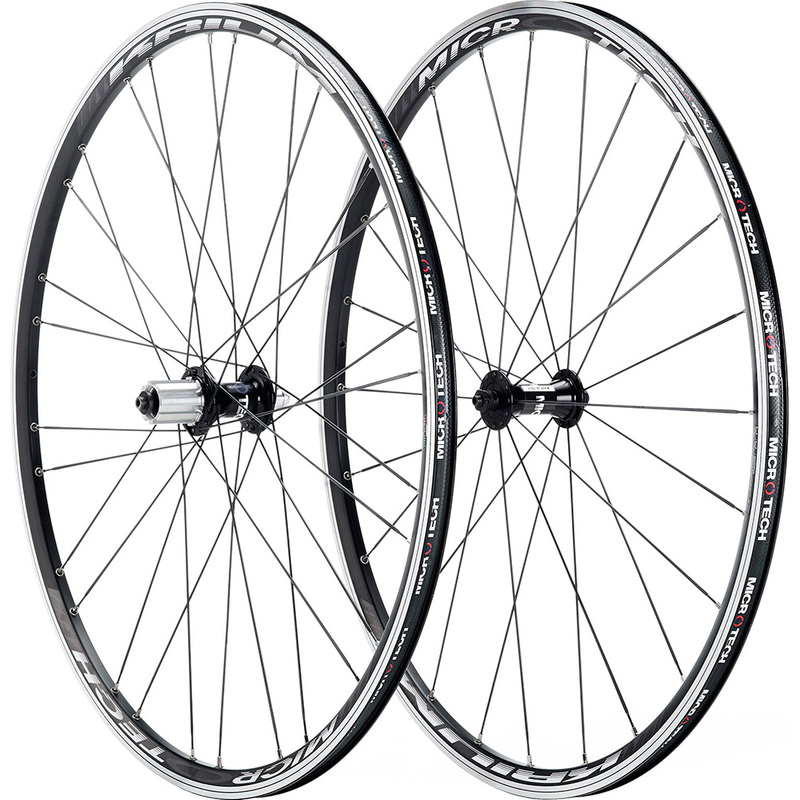 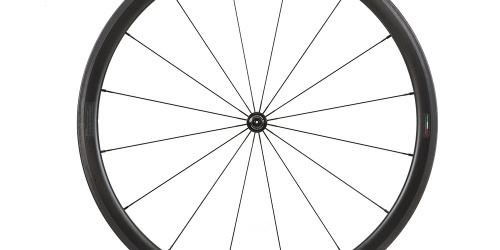 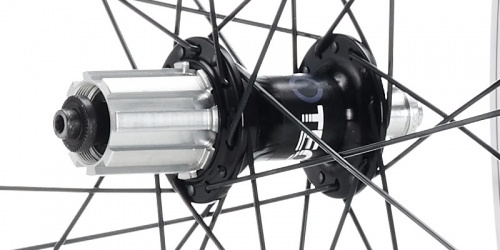 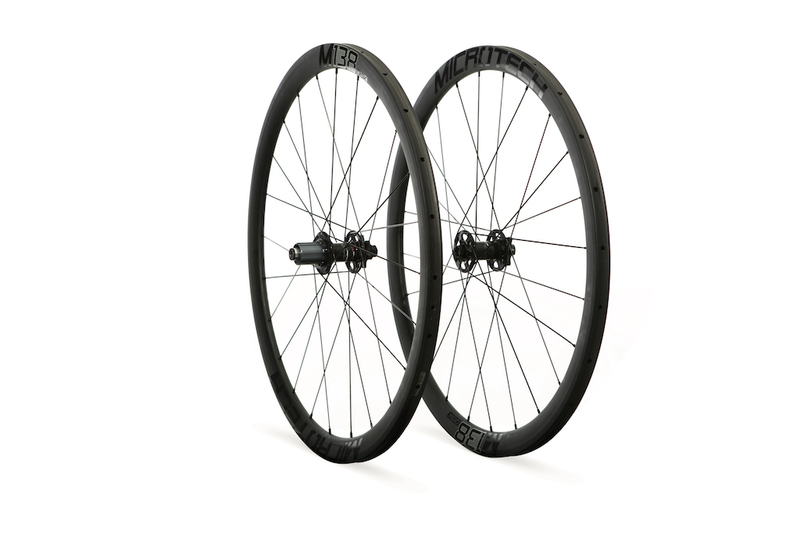 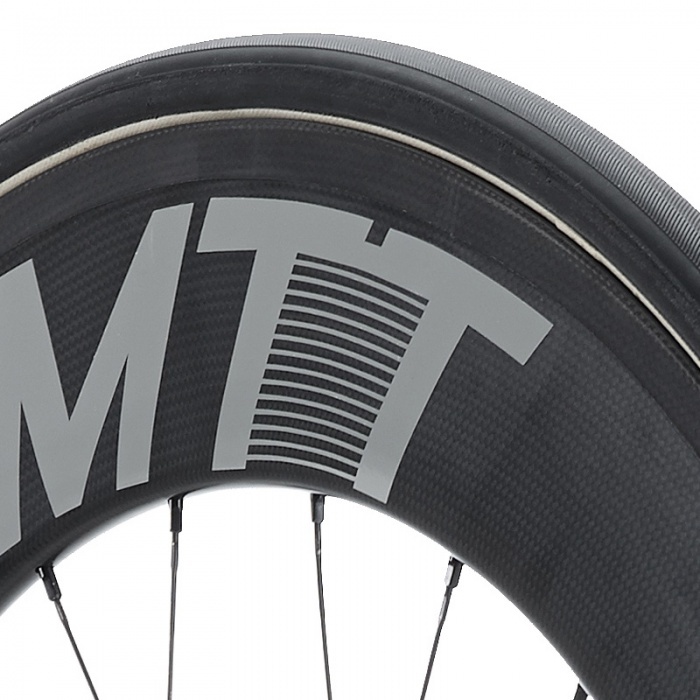 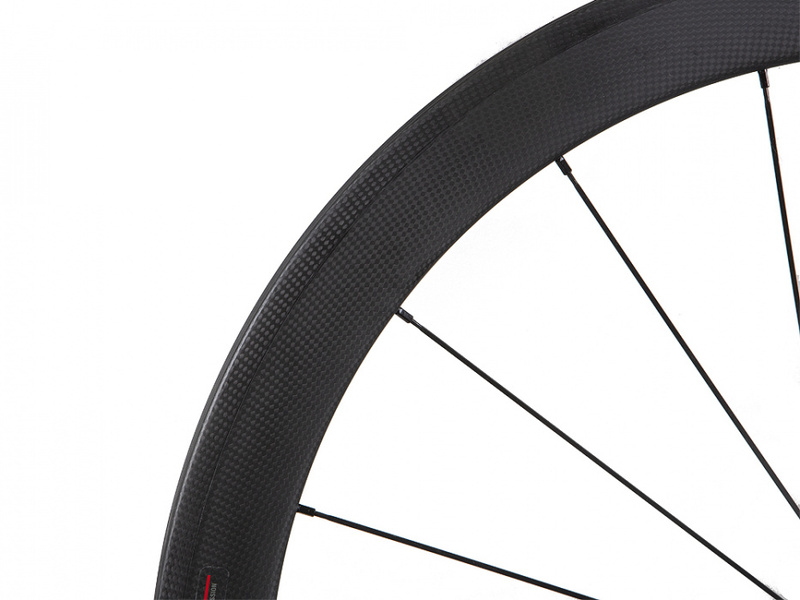 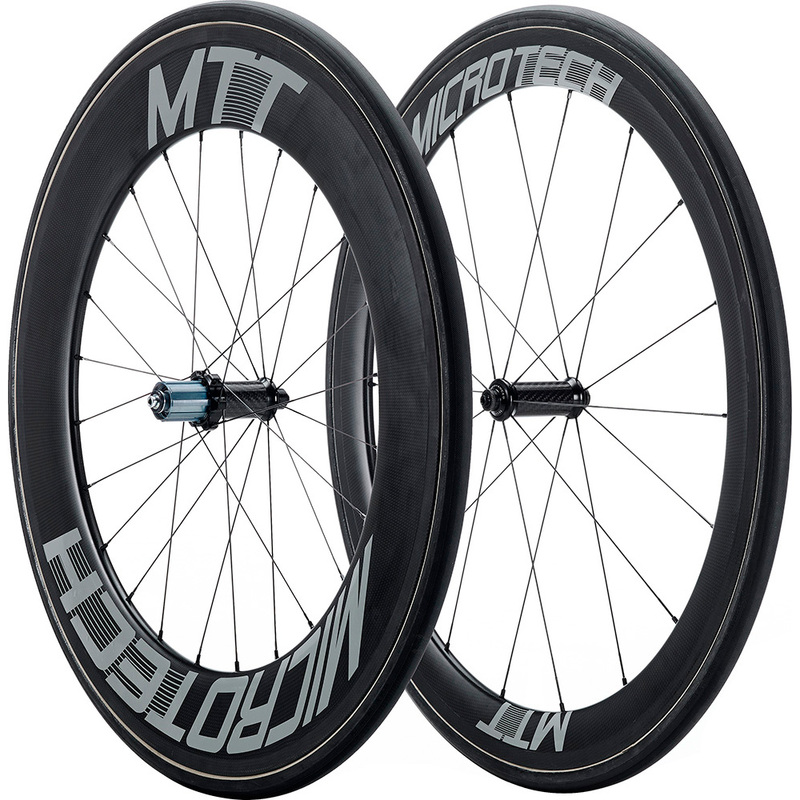 Our MCT38 are the perfect light-weight all around wheels, good for training and racing. 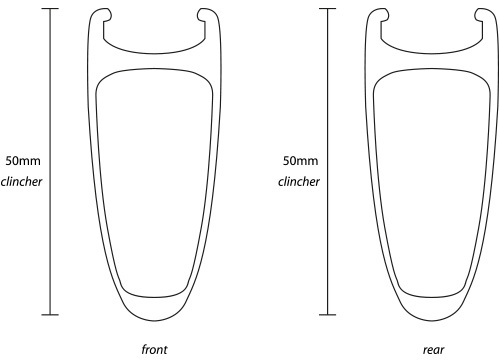 The same Microtech quality and attention to details as the rest of the line. 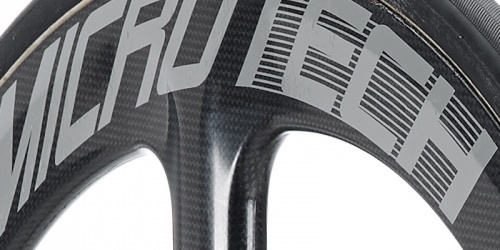 Its profile provides rigidity and aerodynamics even in extreme conditions. 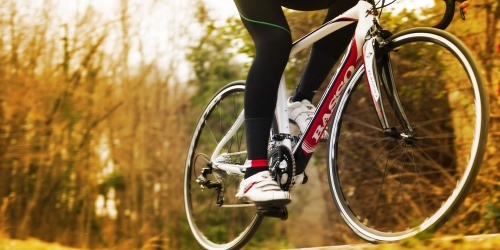 The most demanding amateur cyclist. 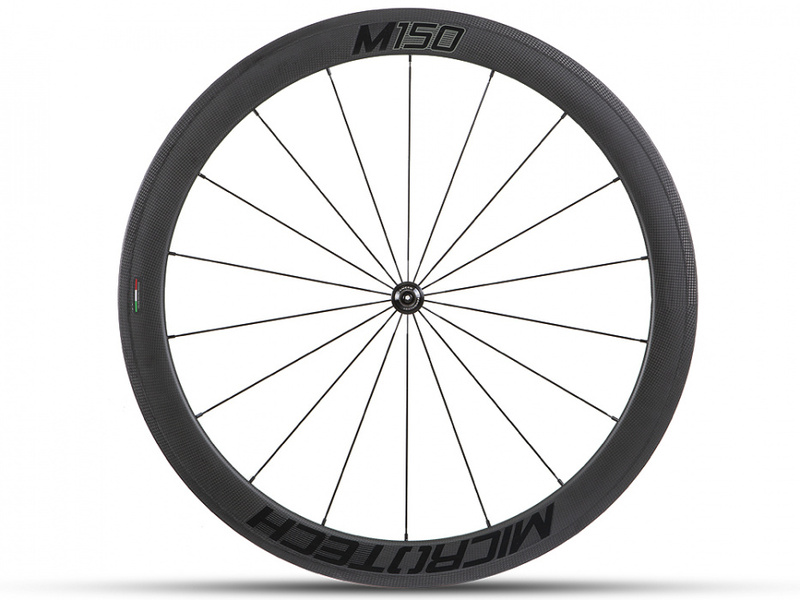 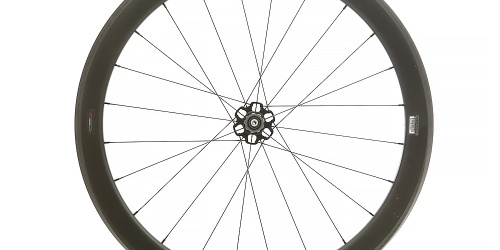 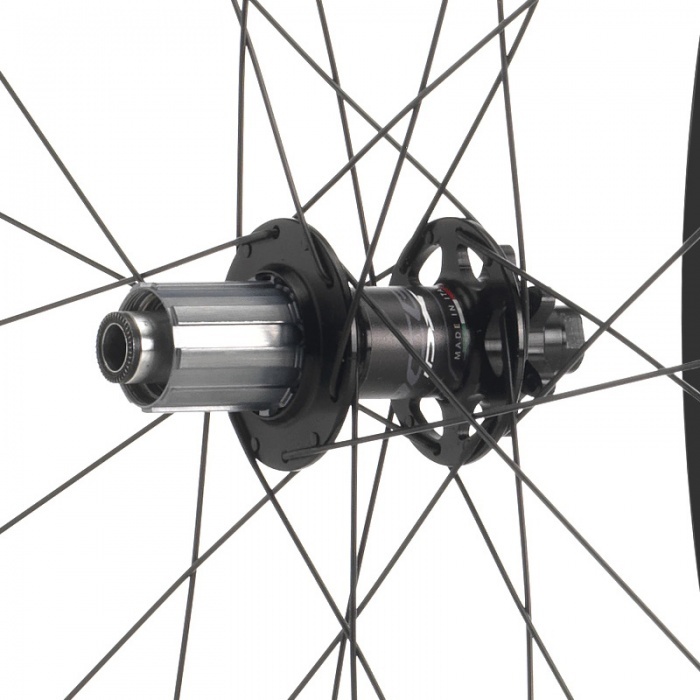 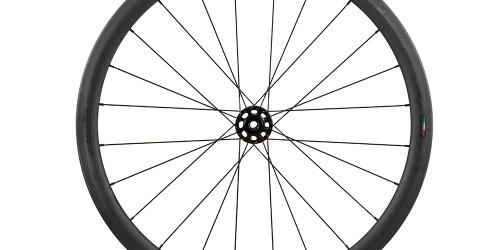 Transferring the same technology adopted for the built of hi-end carbon M138 wheels, it has resulted in one of the lightest alloy rim wheels for disc brakes. 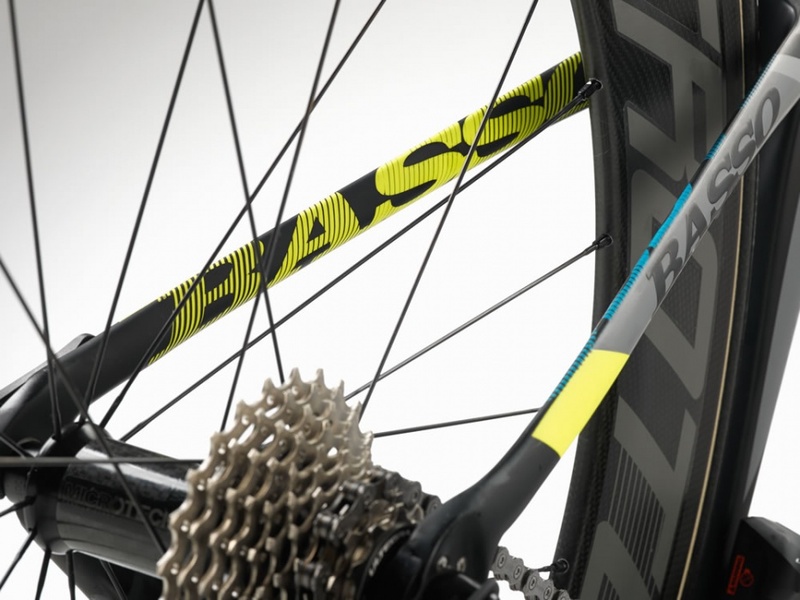 Performing in every path condition, it will give its best in the muddiest races.Use: road, cycle cross and gravel rides on disc brakes. 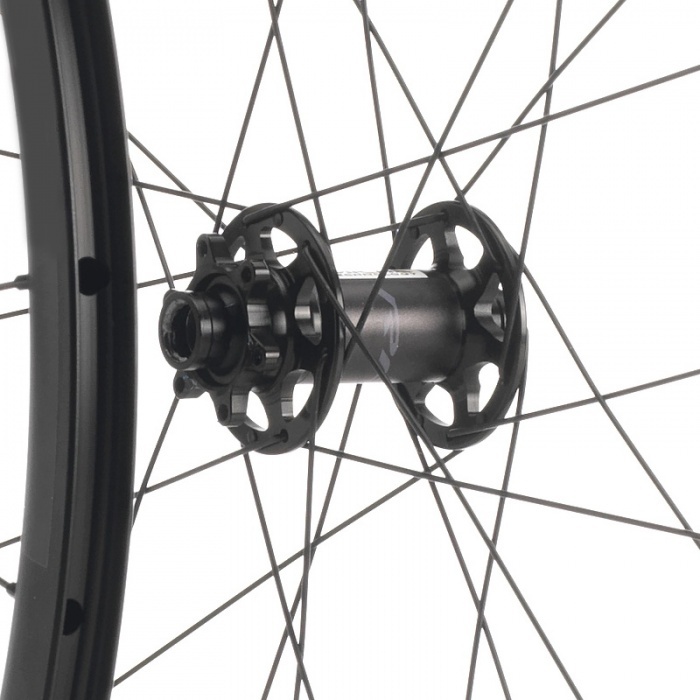 The radial spoke pattern of the front wheel and coupled on the rear, transmit great security and responsiveness to the rider.